Pickstock Construction has completed install of all 60 Bathroom Pods into Block B at Crescent Point Student Accommodation scheme in Plymouth. The shape of Block B dictated that it was to be built traditionally with a concrete frame. 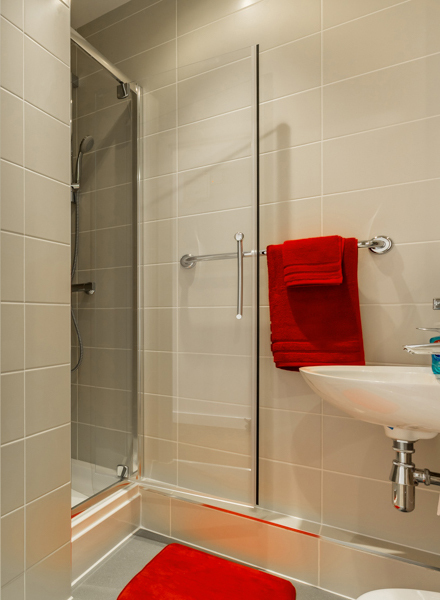 Elements Europe’s Bathroom Pod solution was identified as a means to offer a modular solution thus speeding up the construction time on this block. A Canti Deck system was utilised to place the Bathroom Pod into position amongst the concrete frame with help from the smaller of the two tower cranes on-site. Block B is 10 storeys high and is the smaller of the two accommodation towers. Block A, 13 storeys high is the main tower and has benefited from a full modular solution with 349 Room Modules being installed to provide student rooms and shared kitchens. All corridor cassettes and roof cassettes were also manufactured and installed for the scheme. Now all modules are installed the team can work towards completing the envelope of the building.